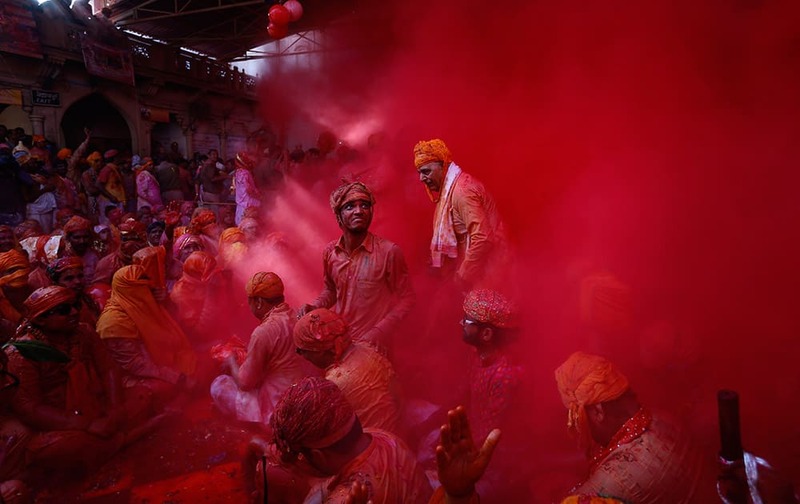 Hindu men from the village of Nandgaon throw colored powder at each other as they play holi at the Ladali or Radha temple before taking out a procession for the Lathmar Holi festival at the legendary hometown of Radha, consort of Hindu God Krishna, in Barsana. 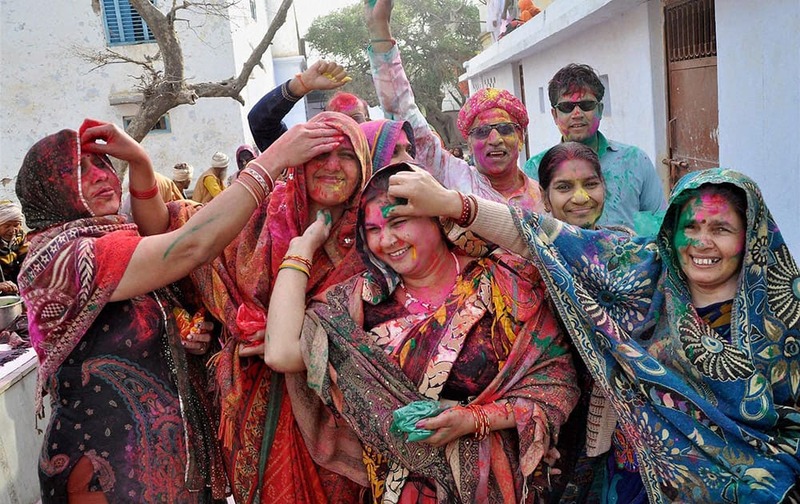 Devotees during Holi celebration in Barsana near Mathura . 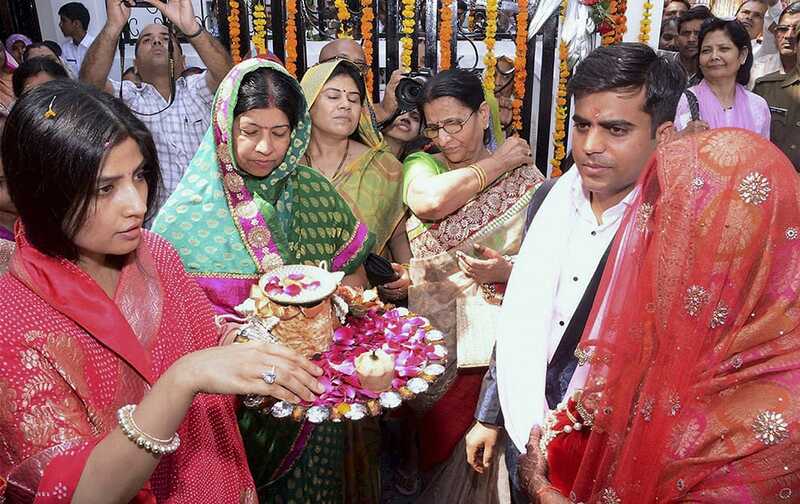 Newly married Tej Pratap Singh Yadav, grand-nephew of Mulayam Singh Yadav and Raj Laxmi, daughter of Lalu Prasad, being welcomed by Dimple and other family members on their arrival in Saifai. 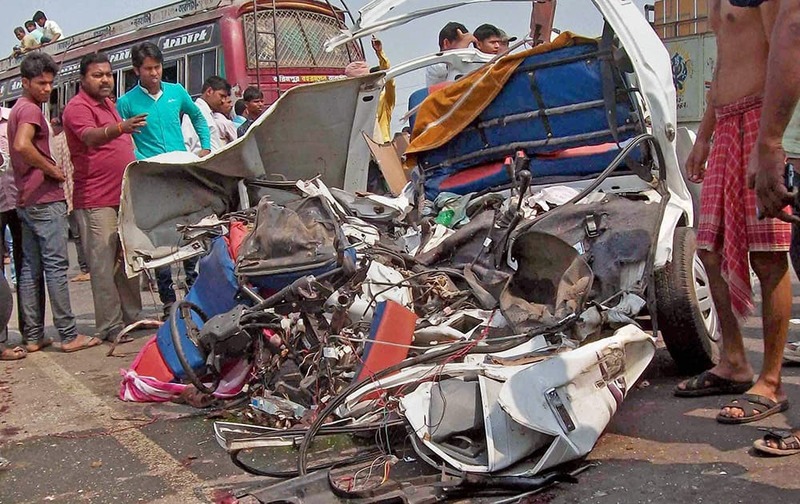 People gather around the wreckage of a car after an accident at National Highway-60 in Birbhum district of West Bengal. 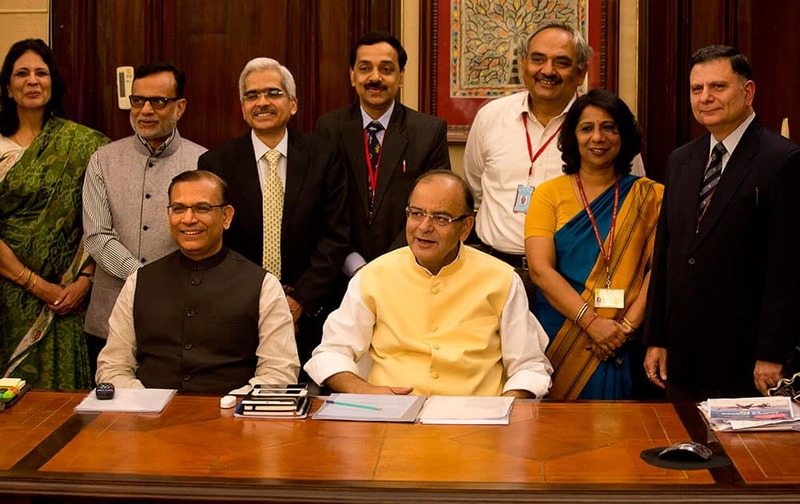 Indian Finance Minister Arun Jaitley, and Indian Minister of State for Finance Jayant Sinha, pose for photographs with their team on the eve of annual budget presentation, in New Delhi, India, Friday. Chinese soldiers from the People's Liberation Army (PLA) take part in a cold endurance training in Heihe in northeast China's Heilongjiang province. 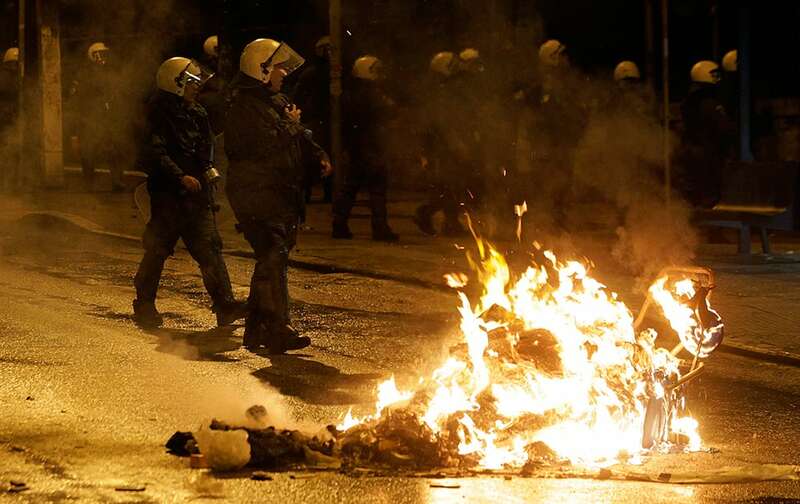 Riot police operate during clashes in the Athens neighborhood of Exarchia, a haven for extreme leftists and anarchists late. The minor clashes broke out after an anti-government protest against Greece's four-month bailout extension agreement with European Union. 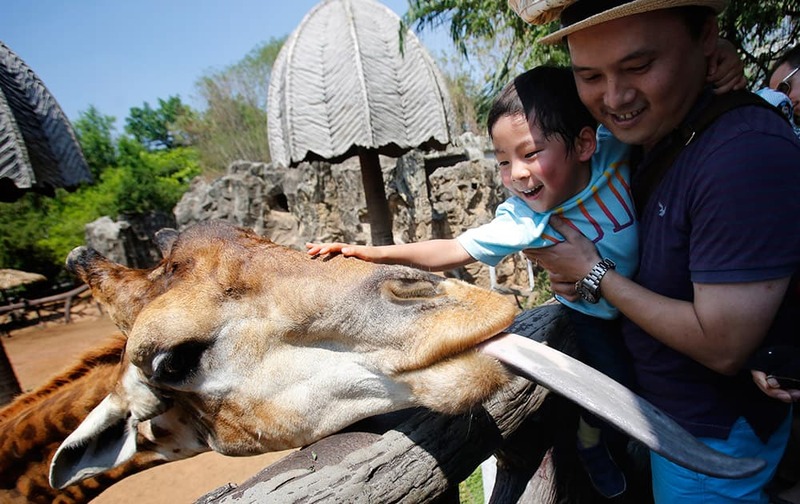 A giraffe sticks out a tongue toward visitors at Dusit Zoo in Bangkok, Thailand. 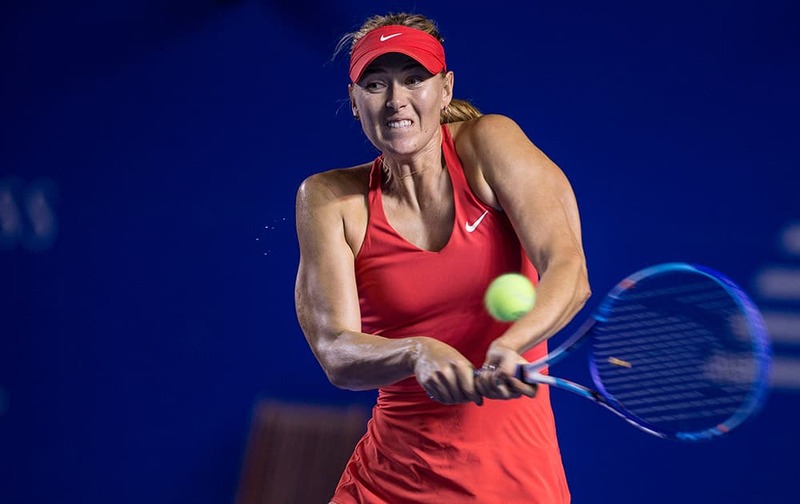 Maria Sharapova of Russia returns the ball to Magdalena Rybarikova of Slovakia during a Mexican Tennis Open quarterfinal match in Acapulco, Mexico. 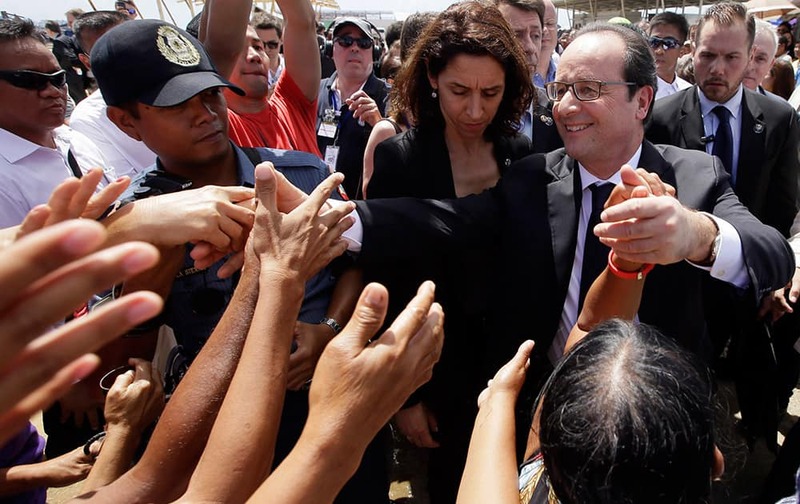 French President Francois Hollande, front right, is greeted by the crowd during his visit to the typhoon-ravaged Guiuan township, Eastern Samar province in central Philippines. 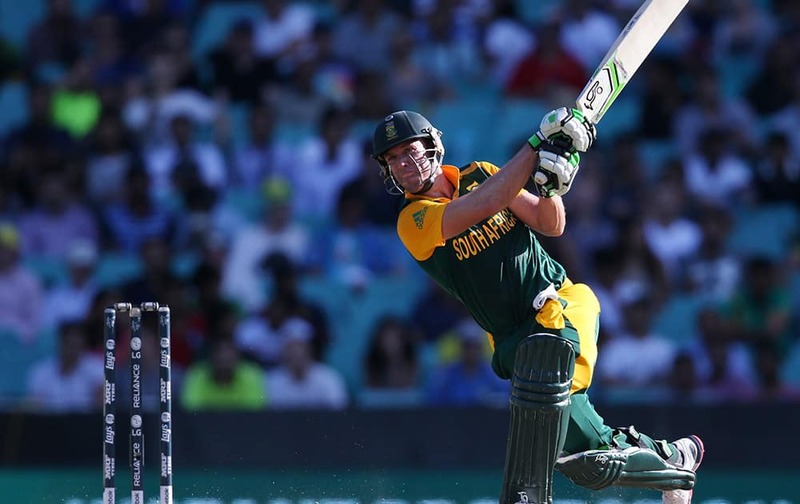 South Africa's AB De Villiers hits the ball to the boundary during their Cricket World Cup Pool B match against the West Indies in Sydney, Australia. 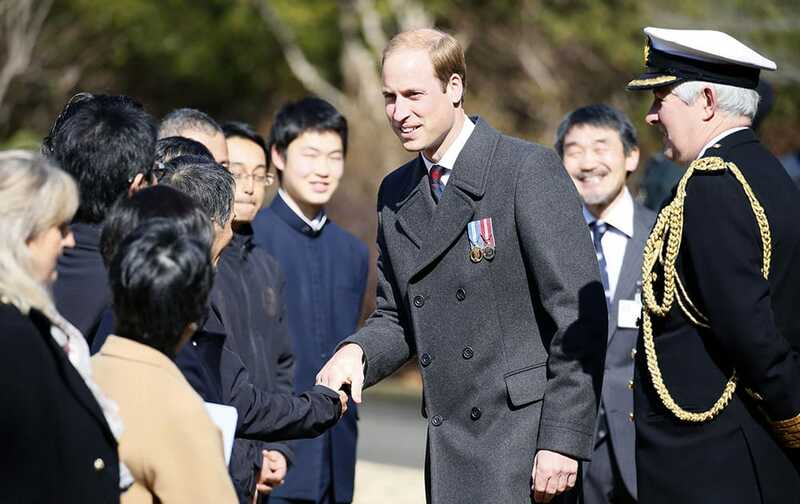 Britain's Prince William, talks people during his visit at Yokohama War Cemetery in Yokohama, near Tokyo. William is on his first visit to Japan. 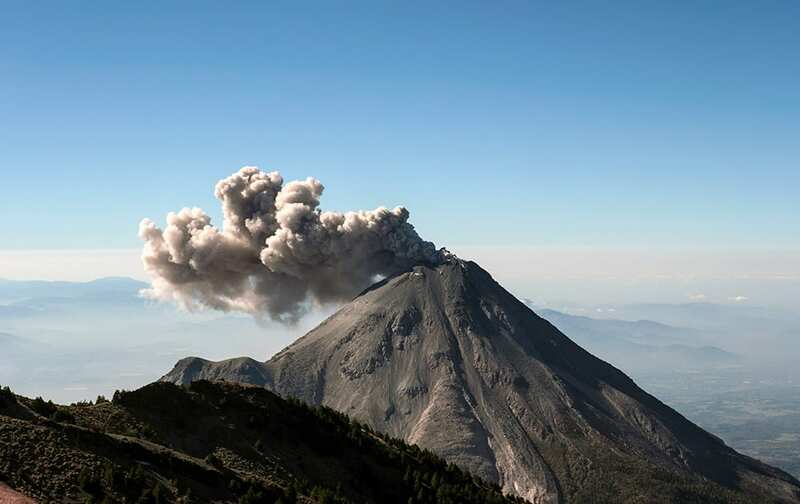 A large cloud of ash and steam rises from the crater of the Colima Volcano as seen from the civil protection observatory near Ciudad Guzman, Mexico. 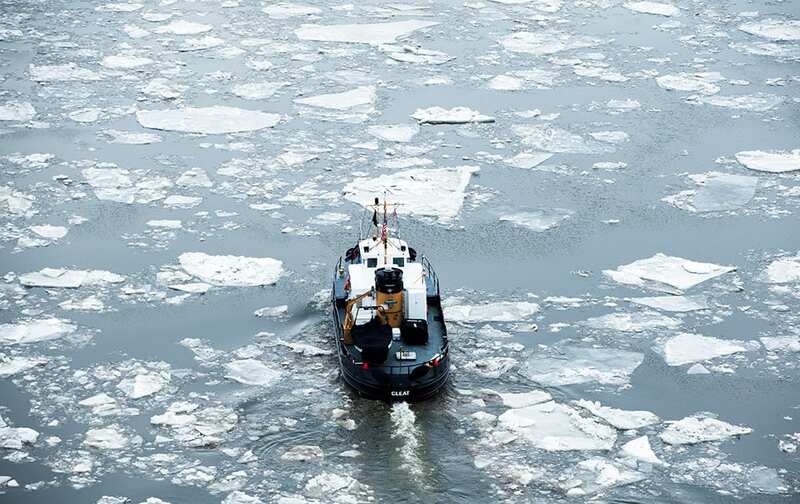 The U.S. Coast Guard Cutter Cleat operates in the Delaware River as part of its winter ice breaking mission. 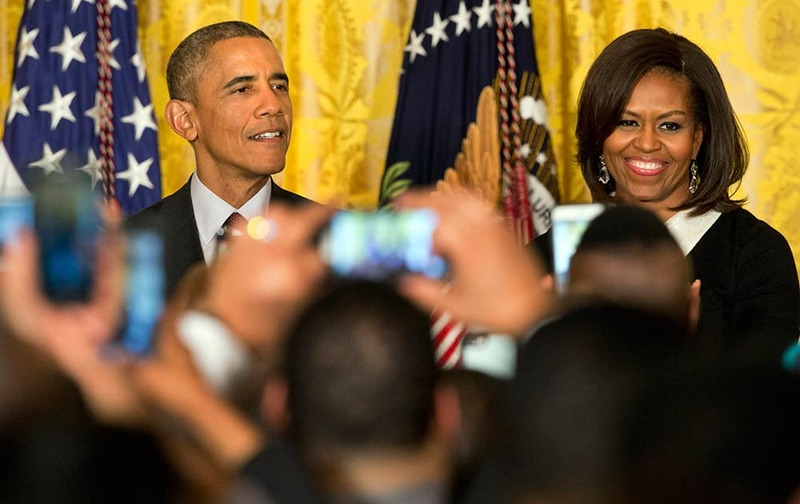 President Barack Obama, speaks next to first lady Michelle Obama during a reception in recognition of African American History Month in the East Room of the White House Washington. 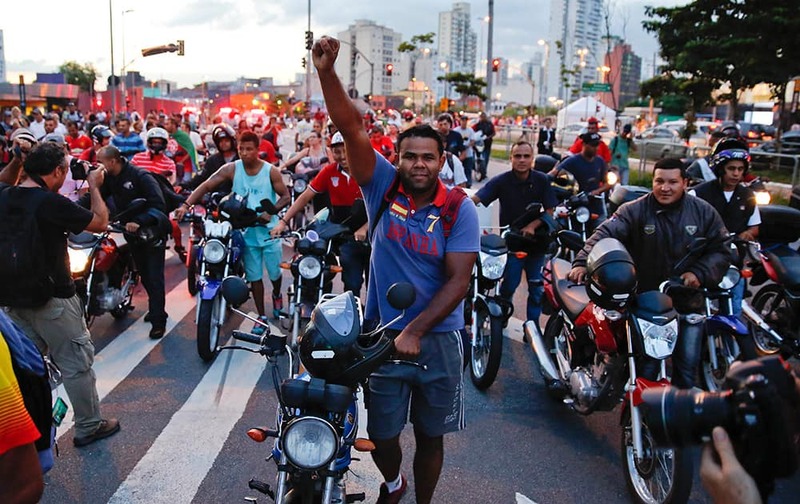 Motorcyclists take part in a protest against the rationing of water in Sao Paulo, Brazil. 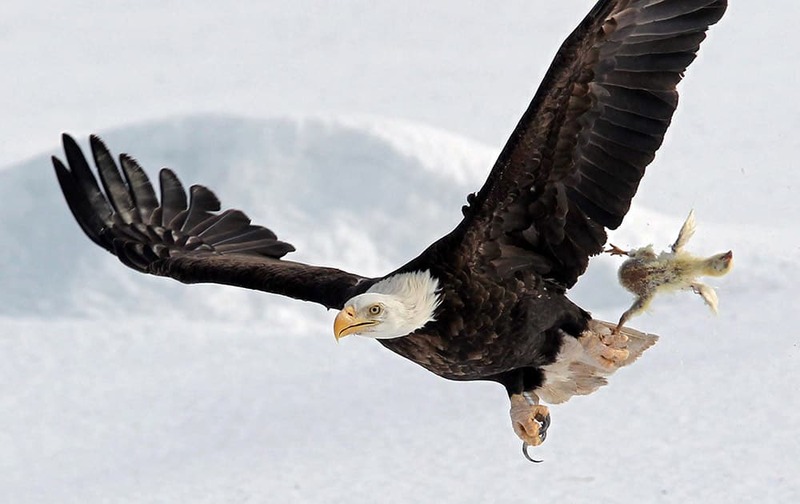 A bald eagle flies with a dead chicken plucked from the snow in a farmer's field, near Sheffield Mills, Nova Scotia. Firefighters from Lewis County Fire District No. 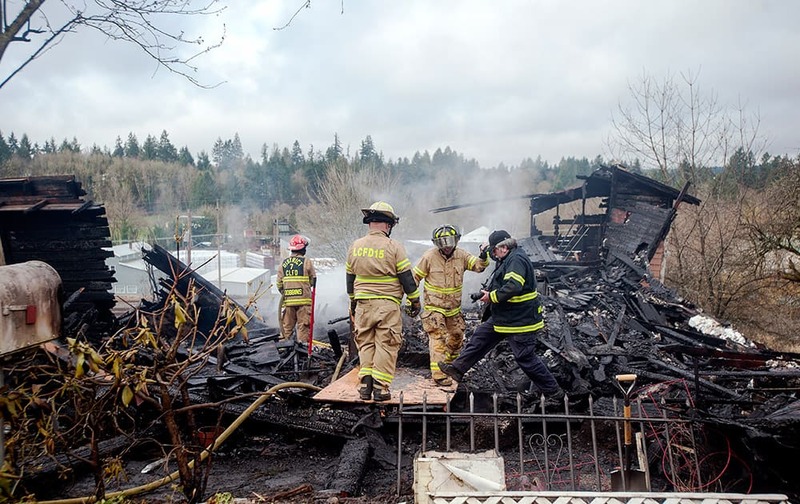 15 stand amongst debris from a house fire in Winlock, Wash. Snow covers the Space Shuttle Pathfinder display at the US Space & Rocket Center, in Huntsville, Ala.
Venus Willams of the US returns the ball to Agnieszka Radwanska of Poland during the quarterfinals of the WTA Qatar Ladies Open in Doha, Qatar. 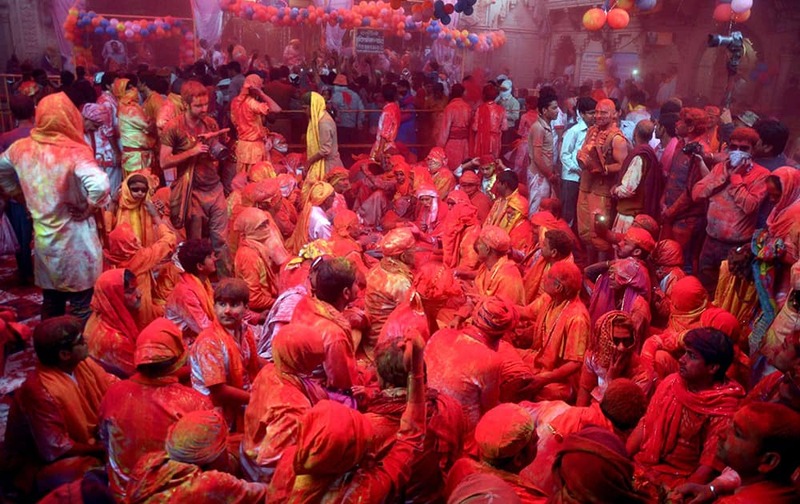 Devotees covered in coloured powder, as they celebrate Holi at Barsana Temple in Mathura. 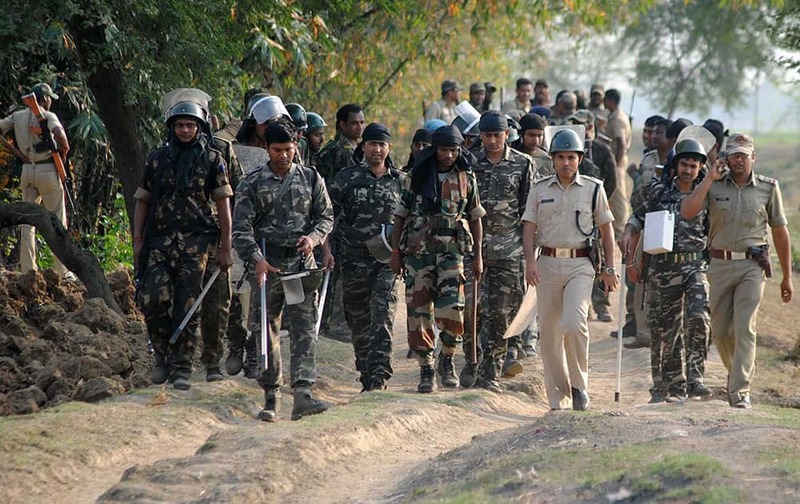 Combat forces during a gun battle with goons after the goons tried to capture Bheramari village in Birbhum district.